EOS/USD has settled in a new range. Bitfinex launches a trading platform based on EOS technology. EOS/USD has settled in a new range limited by $4.25 on the downside and $4.40 on the upside. The coin has gained over 17% in recent seven days to become of the best-performing coins on a weekly basis. A strong positive momentum helped the coin to surpass Litecoin and move up to the fourth place in CoinMarketCap’s rating. "Eosfinex trading platform based on EOS technology"
While the initial rally was triggered by intriguing comments from EOS CTO Dan Larimer, a steady flow of positive marco news helped the coin to retain the position above $4.00 handle and improve its short-term technical picture. “Today’s launch of eosfinex trading platform brings unparalleled opportunity to innovate within EOS and to pioneer research within security, performance, and scalability. We could not be more excited for what’s to come in future,” - the announcement on Twitter says. Initially, the platform will operate in a so-called “paper mode”, which means that users will be able to experiment with the new environment and test their strategies. No real asset trading is involved at this stage. 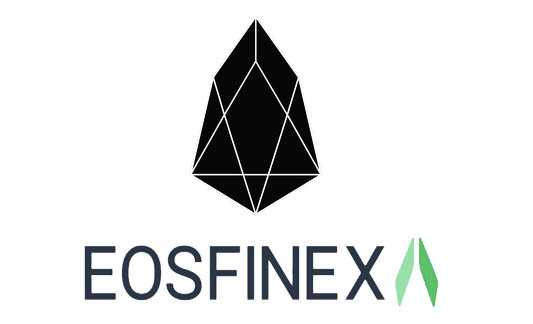 Tested and Developed by the Bitfinex exchange developers, eosfinex platform combines the scalability and speed transaction of EOS coin with Bitfinex’s industry-renowned expertise to deliver a fast, transparent and secure platform for digital asset trading. eosfinex trading platform brings all core trading exchange components on-chain, including order books, matching engine and custody solutions,” the company added in a dedicated blog post.